Charles Marine offers his services to you as your Rhode Island Realtor and hopes to hear from you soon! 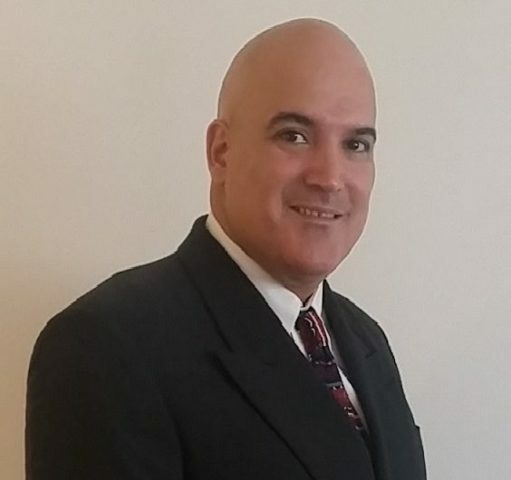 Charles Marine is a full time real estate agent and broker owner of the Heavens Realty and have been in the business since 2005. He also has mortgage business experience giving him the edge he need to have your real estate transaction go smoothly. Prior to that he worked in investment securities as a financial adviser and a registered representative. On his time off he enjoy Salt Water Fishing and spending time with his family. As your Real Estate Expert, he will bring his knowledge and understanding of how a real estate transaction should be and make sure you have a satisfying buying or selling experience. Heavens Realty is one of Rhode Island’s leading real estate companies with a specialty in the purchase and sale of residential properties. Heavens Realty was founded in 2015 by Charles Marine. Charles Marine has been a full time real estate agent since 2005 and is a veteran that has represented many buyers and sellers throughout the years. Charles has built a solid foundation of professional contacts to make your purchase or sale go as smoothly as possible. He has also been providing broker price opinions (home evaluations) for almost all major banks that provide financing in the state of Rhode Island since 2005. The value this would have for you is that Charles is very familiar with the home values throughout the state of Rhode Island. And he will be able to assist you with making an informed decision for when it comes to making an offer on a property or deciding what would be the best price to sell your home. Whether you are buying or selling a $100,000 home or $1,000,000 home you will know that you are in good hands with Charles. Charles specializes in applying his expertise and market knowledge to find the right home for you and to sell your home quickly. Educating buyers and sellers of the process is the first step, so expectation are clear prior to starting to look for a home or sell your home. The idea is to keep buyers and sellers informed throughout the process of their purchase or sale and to avoid any miscommunication or lack their off. Prior to becoming a Realtor / Real Estate Agent 13 years ago Charles worked in the mortgage industry as a Mortgage Broker. This has provided him with the knowledge of how financing works in a sale or purchase of a home. This insight allows him to avoid and resolve financing issues that may arise through the process of your transaction. And again prior to this Charles worked in the investment securities field as a financial adviser and a registered representative for several financial institutions. But not all is work for Charles. He is a regular person like you and me and he loves taking time to enjoy fresh & salt water Fishing & spending time with his friends and family. So if you see him on the street don’t hesitate to say hi as he lives and looks forward to meeting new people. This is why he is in the real estate business.